At the center of the earthly paradise is the Tree of Life. From its roots are born four rivers whose branches, according to St. John Damascene, are to be identified respectively with the rivers Nile (Gihon), Tigris (Hiddekel), Euphrates (Prath) and Ganges (Pison). No coincidence that the four lines along which some of the most important civilizations of antiquity evolved. The water of these rivers has a sacred value that exceeds the function of source and sustenance of life of which they are carriers. From the floods of the Nile, to which a divine character was attributed, depended on the prosperity or otherwise of the ancient Egyptian dynasties. And on an island of Lake Tana, at the source of the Blue Nile, it is said that it was kept, before its transfer to Axum (ancient spiritual center long disputed between Fascist Italy and Britain in the previous century), the Ark of the Covenant, given, according to the Ethiopian national poem The glory of Kings, from King Salomon to Menelik I, the son he had with the Queen of Sheba. And again in 2009, the then patriarch of the Ethiopian Orthodox Church of Coptic Rite, Abuna Paulos, said: Ethiopia is the throne of the Ark of the Covenant. For those familiar with sacred geography, it will not be surprising to see the presence of profound archetypal reminiscences of the aforementioned subject in today's geopolitical dispute around the waters of the Nile. This river, which has a course of over 6000 km, with its tributaries, is a vital and cultural resource for at least 160 million people divided over ten different nations. International jurisprudence regarding the use of this resource is surprisingly limited. In 1929 a Treaty about the waters of the Nile was signed between the Kingdom of Egypt (formally independent) and Great Britain which recognized the country of the Pharaohs the exclusive right to exploit the resource with a small share to be allocated to Sudan. 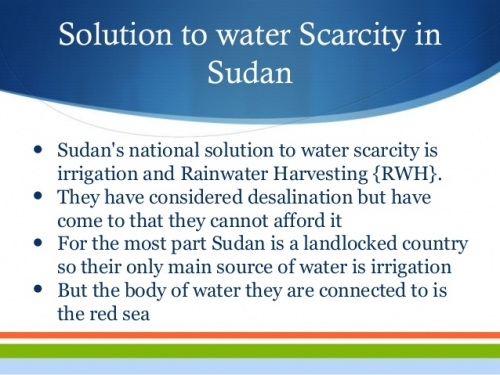 The 1959 Treaty between Egypt and Sudan touched this quota in favor of Khartoum (75% of the water to Egypt and 25% to Sudan) but continued to exclude the eight upstream countries from which the water comes. 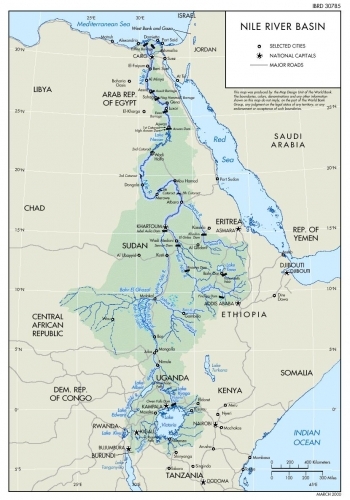 Nearly 85% of the Nile's waters come from Ethiopia. Precisely Ethiopia was the main architect of the Cooperation Framework Agreement of 2010: an agreement made by the Nile Basin Initiative which, without the consent of Egypt and Sudan, has called into question the 1959 Treaty and the volume of water intended for Egypt. The renewed regional ambitions of Ethiopia do not derive exclusively from its proud nationalism or its imperial heritage. These are also born from the observation that the ever increasing rates of economic and demographic growth (the country, with a rate of 8.7%, ranked second in the world as economic growth in 2015) will require an ever-increasing need for water and energy at low cost to support industrial and agricultural development. Already in the thirteenth and in the fourteenth century the Ethiopian emperors threatened to intervene to block the course of the Nile. Today, this perspective, long been feared by an Egypt that for centuries has considered the river as an exclusive and intractable property (just think that Mubarak during the entire course of his long presidency has never visited a country in sub-Saharan Africa ), is becoming a reality with the project of the Grand Ethiopian Renaissance Dam: a project capable of annihilating the famous Aswan dam of Nasserian memory in importance and scope and which is leading the region to the brink of the umpteenth armed conflict inherent the rights of exploitation of natural resources. The dam, whose construction site was inaugurated in 2013 (during the Morsi presidency in Egypt) and whose construction is protected by a no-fly zone over the surrounding area, was founded on the basis of a substantial Chinese funding associated with the Italian project by Salini-Impregilo. 1.8 km long and 155 m high, the dam will be the largest structure of its kind in Africa and will support what will be the largest power plant on the continent with a capacity of 6000 megawatts. The project, despite the Ethiopian assurances, has naturally upset the Egyptian plans that continue, threatening also the military intervention, to consider inalienable their right to 55.5 billion cubic meters of water on the 88.8 that the river produces every year. For al-Sisi, water is a matter of national security. And Egypt, as he said, is able to protect his national security. A statement that sounds at least paradoxical if one considers that the Arab state, despite the proclamations and the grandiose projects of economic development (doubling of the Suez Canal and exploitation of the Zohr gas field), continues to remain a sort of Saudi economic protectorate: it’s enought think of the transfer of sovereignty to the Saudis, obviously approved by Israel, of the islands of Tiran and Sanafir located at the entrance to the Gulf of Aqaba. The exclusive possession of water is the foundation of Israel's very existence. On it the Zionist entity was able to found the myth, however wholly questionable, of the desert transformed into a garden. Thus, in the instant after the creation of the state, the first objective was the deviation of the river Jordan. Today, Jordan can only take 30% of this river's waters. 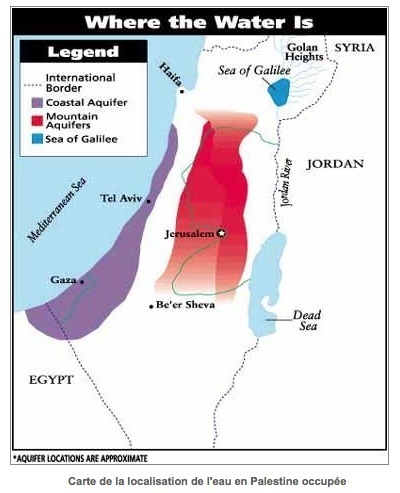 And then, with the wars of aggression of 1967 and 1982 (Operation Peace in Galilee in southern Lebanon), Israel managed to seize all the major water resources of historic Palestine, including a good part of the Yarmouk River on Syrian heights of the Golan and part of the Litani River in southern Lebanon. At the same time, Zionist settlers from the West Bank, despite repeated UN convictions and failing to comply with the same conventions Israel is signatory to (above all the IV Geneva Convention of 1949 prohibiting the destruction of property in the occupied territories or the transfer of these to the occupying authorities), exploit water resources and prevent access to the Palestinians. 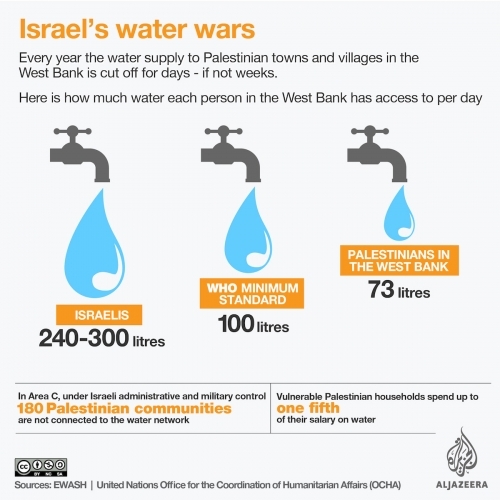 Not to mention that the Israeli national water companies, Mekorot and Tahal, continue to extract water from the Palestinian wells and then resell it at increased price to the Palestinians, while the bills of the Zionist settlers remain at the expense of the World Zionist Organization. Now, returning to the Nile game, it is important to underline that Sudan, so unpopular with the West, is playing a decisive role in it. After its exit from the coalition that attacks Yemen since 2015 and after renewing the diplomatic and commercial ties with Turkey (Egypt's sworn enemy), through the sale of the former Ottoman port of Suakim (an island close to Port Sudan and port with an ancient reputation as a crossroads between Asia and Africa), Sudan began to be represented in the Egyptian media as a nation that is conspiring against Egypt under the shadow of Turkey and, not to mention, of the Iran. In fact, the Sudan of Omar al-Bashir, thanks to the secession of the South imposed by the invading hand of the International Community, despite the parties in conflict had reached a historic agreement in Nairobi shortly before, has lost 50% of its oil resources and was forced to implement programs of profound economic diversification that, once again, affected the problem of exploitation of the waters of the Nile. And this time he could not help but align himself with the Ethiopian claims and firmly oppose the project of division into five parts of the country desired by the United States whose realization would be entrusted, according to al-Bashir, to Eritrea: a nation that has supported not a few terrorist groups in the region and in which Egypt and United Arab Emirates have deployed their troops. The situation is deeply unstable and the recent meeting between al-Bashir and al-Sisi does not seem to have mitigated the tension despite the promise of new future meetings. Undoubtedly, United States can not allow nations like Ethiopia and Sudan to become new pivots of multipolar order. The request to Russia to protect against North American aggression, accompanied by the offer of a military base on the Red Sea and a preferential channel for trade relations, sounds like a further threat to the thalassocratic control over the Eurasian rimland after the weary and unpopular role that the US is playing in the unsuccessful aggression of their Wahhabi allies in Yemen. A country rich in natural resources, Sudan is a crucial junction between North Africa and sub-Saharan Africa. Two arrest warrants of the International Criminal Court are already hanging on the head of its president, unpopular to the West for its unprecedented union between nationalism and Islam. An institution to which 120 countries in the world belong but from which, not accidentally, USA and Israel look good from adhering to: two nations, war criminals in effect, who are in the front row in demanding the capture of al -Bashir. China, in spite of Western sanctions, has sensed the enormous potential of the country and has started the project for the construction of a railway that connects Port Sudan to the capital of Chad, N'Dajamena: a sort of African silk road that in the future could connect the west coast of the continent with the east coast. The repositioning of Ethiopia in a perspective of opposition to the North American hegemonic design (already during the previous US administration prominent exponents of the Church had indicated in Barack Obama the incarnation of the Black Antichrist, sign of the times in the Ethiopian Coptic tradition) and the Sudan's approach to Russia and China are news in the geopolitical dynamics within the macro-region that includes the western shore of the Arabian peninsula, the Red Sea with the basic passages of Suez and Bab el-Mandeb and the northeastern band of Africa . In this context, the match of the Nile can mark a further turning towards the establishment of a real multipolar order. Ces dernières années, d’autres experts ont confirmé une probable intensification de cette crise. Les raisons qu’ils invoquent pour l’expliquer sont principalement d’ordre naturel, telles que la rareté de l’eau dans cette région désertique. Or, les frappes de l’OTAN ont fortement détérioré le système national de distribution de l’eau en Libye, tout en retardant le développement de la GRA. En 2016, si l’on se base sur les estimations de l’OCHA, « environ 680 000 personnes [dans ce pays nécessitaient] une aide humanitaire pour satisfaire leurs besoins basiques en consommation d’eau et en hygiène (…) Par ailleurs, le traitement des eaux usées [était] de plus en plus préoccupant, en particulier pour les demandeurs d’asile et les migrants. » Selon le spécialiste des questions environnementales Kieran Cooke, le système de la GRA « pourrait s’effondrer si le chaos en Libye perdure – aboutissant à une pénurie chronique d’eau potable qui affecterait des millions de personnes ». Comme l’avait rapporté Bloomberg.com en mai 2015, les problèmes d’accès à l’eau en Libye sont également dus aux coupures d’électricité engendrées par le délabrement du système électrique national et les affrontements continuels entre milices rivales. La campagne de l’OTAN ayant engendré ce chaos sécuritaire et la destruction partielle des infrastructures libyennes, elle fut donc un facteur central d’aggravation de cette crise de l’eau qui menace l’avenir de ce pays. De toute évidence, le recours à cette tactique fut intentionnel, puisque les frappes contre ces équipements ne constituèrent en aucun cas des bavures, mais des attaques planifiées et assumées par l’état-major de l’OTAN. Au Yémen, des méthodes similaires de destruction intentionnelle des infrastructures d’assainissement et de distribution de l’eau sont employées par la « coalition arabe ». Bien qu’étant central, le rôle des États occidentaux dans ces opérations n’est toutefois pas assumé, sachant que cette guerre ne peut être justifiée par les motifs humanitaires attrayants qui ont légitimé l’intervention en Libye. Avant le conflit qui oppose depuis mars 2015 la coalition dirigée par l’Arabie saoudite aux rebelles houthis, le Yémen était déjà répertorié parmi les nations devant affronter les pénuries d’eau les plus graves. D’après certains experts, les nappes phréatiques de ce pays pourraient d’ailleurs être épuisées dès cette année. Dans un tel contexte, la guerre de la « coalition arabe » contre les Houthis a exacerbé une crise humanitaire qui préexistait, avec l’appui décisif mais confidentiel d’au moins trois États occidentaux. En effet, comme l’a souligné Régis Soubrouillard en avril 2015, le Pentagone, la Direction du Renseignement Militaire (DRM) et la DGSE aident l’armée saoudienne à planifier ses bombardements et à sélectionner ses cibles, notamment au moyen de renseignements satellitaires. En mai 2016, dans Le Figaro, le grand reporter George Malbrunot confirma l’implication clandestine de militaires français dans cette guerre, un haut gradé anonyme lui ayant affirmé que la France était « très discrètement cobelligérante », fournissant des « dossiers d’objectifs » ou effectuant des « missions de reconnaissance (…) non seulement par satellite, mais aussi avec des avions ». L’engagement direct des États-Unis et de la Grande-Bretagne dans ce conflit est mieux couvert par la presse anglo-saxonne, et il ne se limite pas à des ventes d’armements. En effet, des officiers militaires de ces deux pays aident notamment leurs alliés locaux à planifier leurs opérations. La « coalition arabe » est donc une expression qui masque, intentionnellement ou non, le rôle majeur des gouvernements américain, français et britannique dans cette offensive aux conséquences humanitaires désastreuses – notamment en termes d’accès à l’eau potable. Comme l’a rapporté Amnesty International en février dernier, « j’ai été témoin de ce que les Yéménites endurent – voir des corps tirés des décombres à Sanaa ou des restes humains parmi les gravats jonchant le site d’une station d’épuration visée par une frappe aérienne à Hajja ». En janvier 2016, l’UNICEF expliquait que « les enfants représentent au moins la moitié des 2,3 millions de personnes déplacées de leur foyer, et au moins la moitié des 19 millions de personnes qui s’efforcent chaque jour de trouver de l’eau potable ; (…) Les services publics de santé, d’eau et d’assainissement ont été décimés et ne peuvent pas répondre aux besoins toujours croissants d’une population désespérée. » Ainsi, des millions de civils yéménites subissent les conséquences des bombardements massifs d’infrastructures civiles par la « coalition arabe ». Ces opérations aggravent le manque chronique d’eau potable, ce qui favorise l’émergence ou la propagation d’épidémies de maladies diarrhéiques et de choléra. En d’autres termes, les dirigeants occidentaux ayant décidé d’appuyer secrètement cette offensive sont juridiquement coresponsables de l’aggravation d’un désastre humanitaire dans la nation la plus pauvre du Moyen-Orient. En effet, ces opérations limitent considérablement l’accès à l’eau potable dans un pays qui connaissait déjà des difficultés structurelles dans ce domaine, sans parler des pénuries de nourriture suscitée par les bombardementsd’infrastructures agroalimentaires et le blocus imposé par la « coalition arabe ». Secrètement engagées dans des guerres inavouables au Levant et dans la Péninsule arabique, les puissances de l’OTAN y ont soutenu une coalition arabe et des mercenaires salafistes notoirement insensibles aux Conventions de Genève et aux droits de l’Homme. Entre autres actes de barbarie, ces forces sunnites ont empêché des millions de personnes d’accéder à l’eau potable. Plus globalement, depuis 1991, les États occidentaux ont affirmé conduire des « guerres propres » en Irak, en Yougoslavie, en Afghanistan et en Libye. Or, durant ces opérations, les infrastructures fournissant l’eau à la population ont été massivement et intentionnellement dégradées, engendrant des crises humanitaires ayant affecté des millions de civils. Et comme nous l’avons souligné, les pénuries d’eau courante ne sont que l’un des innombrables fardeaux imposés aux peuples « libérés » par ces offensives. De ce fait, et malgré les risques majeurs induits par sa présidence, il est plutôt rassurant que Donald Trump rejette les politiques de « changement de régime », qui sont hors de contrôle depuis le 11-Septembre, et qui ont provoqué la plupart des catastrophes humanitaires décrites dans cet article. Néanmoins, au vu de son hostilité ouverte à l’égard de la Chine, des ex-généraux bellicistes qui domineront son équipe de sécurité nationale, et de sa volonté de durcir la guerre contre Daech en assouplissant les règles d’engagement au détriment des civils, tempérons notre optimisme et gardons à l’esprit que les promesses n’engagent que celles et ceux qui les reçoivent. Journaliste indépendant, traducteur de Peter Dale Scott, être humain engagé. • 1917. Par la Déclaration Balfour, la Grande-Bretagne promet la « création d’un foyer national juif en Palestine » . Les premiers sionistes rachètent alors les terres en Palestine pour les cultiver afin d’y forger un nouveau peuple juif, comme ce fut déjà le cas, précédemment dans l’histoire. • 1919. Le Président de l’Organisation Mondiale sioniste, Chaïm Weizmann adresse une lettre au Premier Ministre britannique, Lloyd George, lui demandant d’étendre la frontière nord de la Palestine de manière à englober toutes les sources d’eau tenant ainsi compte au-delà des considérations historiques ou religieuses, des considérations hydrauliques. o ainsi que le désert du Néguev dans le but de le faire fleurir pour absorber les flux migratoires et rassembler la diaspora juive. • 1953. Israël va mettre en pratique notamment les directives du plan Hayes et commencer à détourner les eaux du Jourdain. Elle entreprend la construction du « National Water Carrier », colonne vertébrale à partir du nord du Lac de Tibériade qui lui permet de détourner vers elle la majeure partie du cours d’eau. • 1964. Israël a fini de réaliser à partir du lac de Tibériade, l’interconnexion des eaux sur l’ensemble du territoire jusqu’au désert du Néguev, mis en valeur par l’irrigation, réussissant ainsi à réaliser l’idéal sioniste qui consiste à « faire fleurir le désert ». Les Arabes ripostent à plusieurs reprises, mais sans succès. o ainsi que les trois grandes nappes aquifères de Cisjordanie, ce qui lui permet donc le contrôle de tout le cours du Jourdain. • 1978. Elle occupe le sud Liban pour achever en quelque sorte cet approvisionnement - avec notamment l’usage et le détournement d’une partie du Fleuve Litani par un système de pompage - sud Liban qu’elle ne libérera qu’en 2000, suite à une résistance acharnée du Hezbollah installé dans cette région. • La destruction des puits dans la bande de Gaza et dans la région de Rafah, du système d’assainissement et des canalisations en eau. • Les vertes collines des colonies juives dans la vallée du Jourdain et leur arrosage incessant parfois inutile, à côté des espaces caillouteux et secs occupés par les Palestiniens. • et 1/3 provenant du lac de Tibériade et du Yarmouk. o prix prohibitif de l’eau, etc. De ce fait la solution pourrait être régionale par des transferts d’eau, d’où l’intérêt porté au Litanie libanais, ou par le recours coûteux à des ressources non conventionnelles : dessalement de l’eau de mer, recyclage des eaux usées (...), mais là aussi les ressources financières sont inégales et les Palestiniens ne pourront se permettre d’endosser ces coûts. Ainsi, la perspective d’une coopération régionale pourrait s’avérer être une solution difficile à mettre en place, mais réalisable car cette eau si rare et si précieuse va aussi terriblement manquer pour Israël, si les surexploitations sont maintenues à ce rythme. La question du partage de l’eau est un point clé d’un éventuel processus de paix israélo-palestinien et d’un apaisement des relations interétatiques au sein « d’une région du monde où le problème de la pénurie en eau avec ses répercussions politiques, se pose avec le plus de gravité ». Car, exception faite du Liban et de la Turquie dotés d’un potentiel hydraulique conséquent, les climats arides ou semi désertiques des autres pays du Proche-Orient, aggravés par des phénomènes de surexploitation et de surconsommation chroniques, font de l’eau une ressource rare et convoitée, donc polémogène. Des alternatives permettent cependant d’espérer une issue positive aux problèmes de la rareté et de la gestion de l’eau sur le plus ou moins long terme. En 1995, Ismail Serageldin, vice-président de la Banque mondiale pour les questions de développement durable, déclarait : « les guerres du prochain siècle auront l’eau pour objet ». Un géographe de l’Université de l’Oregon, Aaron Wolf, s’est intéressé aux discordes entre États liées à l’eau de 1950 à 2000: sur 1831 litiges - soit en moyenne 30 par an -, deux tiers ont été réglés par des accords de coopération, 507 sont apparus véritablement dangereux et 21 seulement ont débouché sur des opérations militaires. Sur ces 21, 18 ont été le fait d’Israël. On peut identifier trois conflits importants au Moyen-Orient liés au contrôle de la ressource hydrique : celui opposant l’Irak, la Syrie et la Turquie à propos des fleuves de l’Euphrate et du Tigre ; celui entre la Syrie, Israël, les Territoires palestiniens et la Jordanie sur le partage des eaux du Jourdain ; le problème de l’utilisation des nappes aquifères entre Israël et l’Autorité palestinienne. Ce sont ces deux derniers cas qui nous intéressent ici. Il peut être intéressant de croiser l’étude d’Aaron Wolf avec un rapport de la FAO (Food and Agriculture Organization) qui signale que dans le bassin du Jourdain, partagé entre quatre Etats (Liban, Syrie, Territoires palestiniens - donc Israël - et Jordanie), la ration d’eau individuelle est des plus réduites. En considérant qu’une situation de « stress hydrique » advient à partir du moment où un pays dispose de moins de 500 m3 d’eau par habitant et par an, presque tous les pays du Proche-Orient en sont victimes. La FAO estime que la quantité d’eau potable de bonne qualité disponible par personne et par an est de 250m3 en Israël, 85m3 dans les Territoires palestiniens et 200m3 en Jordanie. La ressource est rare, mais aussi très inégalement répartie puisque le nord d’Israël dispose de 500m3/pers/an, et le Liban et la Syrie, soit les deux pays en amont du Jourdain, disposent de 3000m3 pour le premier et 1200m3 pour le second. Israël, qui développe dès sa création en 1948 l’utilisation agricole, met très tôt en œuvre une stratégie de conquête hydrique. Car son eau vient de l’extérieur de son territoire national. Le Jourdain constitue sa principale source d’eau. Né au Liban, le fleuve se dirige du Nord au Sud et reçoit trois affluents majeurs. 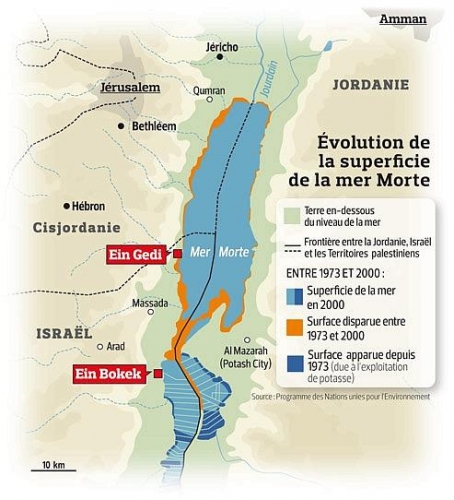 Il traverse le lac de Tibériade, grande réserve d’eau douce d’Israël, avant de se jeter dans la mer Morte. 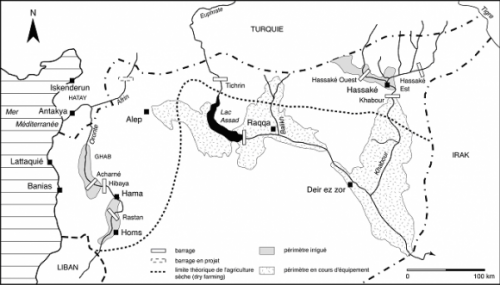 Le bassin du Jourdain intègre aussi des aquifères souterrains localisés notamment sous les collines de Cisjordanie, et entre Haïfa et Gaza (plaine littorale). Les rapports de force actuels autour de la ressource en eau remontent ainsi à la fondation d’Israël et surtout à la guerre des Six Jours, parfois perçue comme la première guerre de l’eau. Selon Ariel Sharon : « Les gens considèrent généralement que la guerre des Six-Jours a débuté le 5 Juin 1967. C’est la date officielle, mais en réalité, elle avait débuté deux ans et demi plus tôt, le jour où Israël avait décidé d’intervenir contre le détournement des eaux du Jourdain. A partir de là, une tension sourde et permanente s’installa le long de la frontière israélo-syrienne ». En 1953, Tel-Aviv entreprend le creusement du canal du National Water Carrier, destiné à détourner l’eau du bassin du Jourdain depuis le lac de Tibériade, soit le nord de la mer de Galilée, vers le désert du Néguev. Cette initiative provoque la colère des Etats arabes voisins, qui lancent à leur tour des projets de détournement des eaux du Jourdain en établissant des barrages sur ses affluents du Yarmouk et du Litani. Israël bombarde à plusieurs reprises les travaux, entrainant une grave détérioration de ses relations avec le Liban, la Syrie et la Jordanie. Lors de la Guerre des Six Jours, les Israéliens conquièrent le plateau du Golan et la Cisjordanie, contrôlant de facto les ressources hydrauliques. A partir de là, il est tentant de voir dans la question de la sécurité de l’approvisionnement en eau d’Israël un motif majeur du déclenchement de l’attaque de 1967. Mais, comme le rappelle le géographe Frédéric Lasserre, l’eau n’est qu’un facteur parmi d’autres, la stratégie militaire d’Israël visant d’abord en 1967 à réduire la menace égyptienne et à contrer les entrées en guerre de la Jordanie et de la Syrie. Néanmoins, il n’en reste que contrôler la vallée du Jourdain répond à des considérations de sécurité – créer une zone tampon contre d’éventuelles incursions ennemies – mais aussi d’approvisionnement en eau. Car en ayant la mainmise sur les territoires palestiniens, Israël contrôle les ressources aquifères de Gaza et de la Cisjordanie. L’occupation du Sud Liban lui permet aussi de contrôler le plateau du Golan et de détourner, jusqu’à son retrait en 2000, les eaux du Litani. De pays en aval, Israël passe ainsi à la position très enviée de pays en amont du Jourdain. L’eau est donc un paramètre à prendre en compte dans le conflit israélo-palestinien. Car, alors que les ressources se situent principalement chez les Palestiniens, Israël en dispose et les gère seul pour pourvoir aux besoins des deux populations. 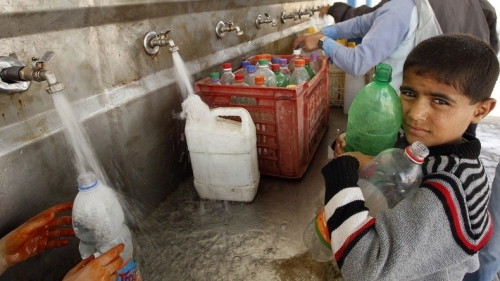 Dans l’ensemble, 40 % de son eau provient des Territoires palestiniens. Pour combler ses besoins croissants, l’Etat juif a élaboré une législation rigoureuse sur l’eau. Une loi de 1959 stipule qu’elle est une propriété publique soumise au contrôle de l’Etat. En 1967, elle est étendue aux Territoires occupés dont les eaux sont déclarées « ressource stratégique sous contrôle militaire », permettant à Israël d’exercer un monopole. D’après un rapport de l’UNICEF de 2005, s’appuyant sur une étude de la Banque Mondiale, Israël puise ainsi dans le seul aquifère de Cisjordanie 86% de ses ressources en eau (soit le quart de sa consommation nationale), les colons 4% et les Palestiniens 10%. 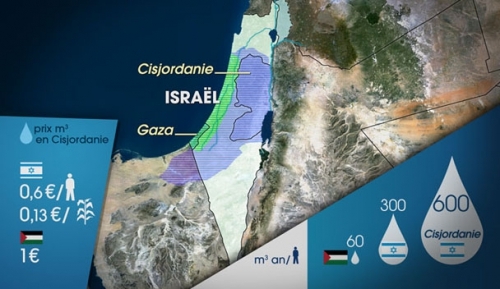 Dans l’ensemble, un tiers des ressources d’Israël provient des eaux de surface, notamment du Jourdain, le reste provient des eaux souterraines (sa nappe littorale, celle de Cisjordanie, et de la bande de Gaza). S’ajoutent d’importantes restrictions à l’accès à l’eau pour la population palestinienne qui est soumise à des quotas, qui doit obtenir une autorisation spéciale des autorités militaires israéliennes pour creuser tout nouveau puits et qui doit payer son eau agricole au prix de l’eau potable, soit un prix quatre fois supérieur à ce que payent les colons israéliens profitant d’un système de subventions. Le mur de sécurité séparant Israël et la Cisjordanie vient en outre désorganiser les systèmes d’irrigation palestiniens. Et le problème, à première vue, semble s’aggraver. Déjà en situation de stress hydrique, les besoins en eau tendent à augmenter avec la forte pression démographique, l’existence de projets de développement agricole basés sur une forte irrigation et la dégradation des ressources existantes. Car la surexploitation des ressources se traduit par une baisse significative de la quantité disponible et par une importante salinisation de la nappe phréatique, provoquant à Gaza une situation de quasi pénurie. « La nappe phréatique a été tellement exploitée que c’est de l’eau salée qui coule aujourd’hui au robinet […] ‘’95% de l’eau ne correspond pas aux standards de l’eau potable et, en 2016, ce sera 100%’’ assure Monther Shoblak, directeur général du service des eaux de Gaza ». Malgré un conflit qui semble, au premier abord, insoluble, il faut éviter de tirer des conclusions hâtives. Frédéric Lasserre montre bien que la gestion de l’eau ressort bien plus de choix politiques et sociaux que de spéculations sur la réduction des quantités disponibles. 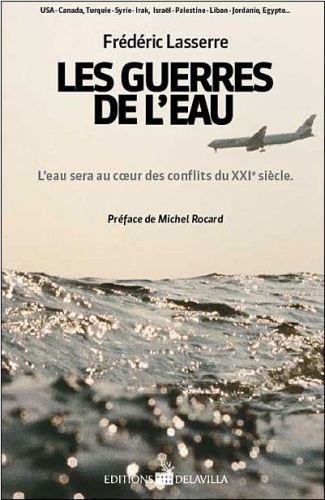 C’est le concept d’adaptation sociale et son corollaire, la gestion des tensions internes par les pouvoirs publics, qui constitue pour lui la pierre angulaire de toute étude sur les conflits de l’eau. Au Proche-Orient, comme partout ailleurs, les recours sont nombreux pour tenter de combler les besoins des uns et des autres. Le droit international relatif à l’eau est encore flou et peu homogène. On peut distinguer trois doctrines juridiques concurrentes : les pays d’amont privilégient celle de « la souveraineté territoriale absolue » sur les eaux présentes sur le territoire national ; les pays d’aval celle de « l’intégrité territoriale absolue », chaque Etat devant permettre aux cours d’eau de poursuivre leur cours ; celle enfin de « la première appropriation » consistant à donner la priorité à ceux étant les premiers à avoir mis l’eau en valeur. En d’autres termes, les Palestiniens disent la géographie est pour nous, les Israéliens l’histoire est pour nous. Le droit international ne tranche pas entre ces deux positions. La convention de New York de 1997 sur le droit relatif aux utilisations des cours d’eau internationaux à des fins autres que la navigation comprend ainsi des contradictions implicites. L’article 5 mentionne le principe de « la souveraineté territoriale absolue » alors que l’article 7 mentionne celui de la « première appropriation ». Les accords régionaux et bilatéraux ont quant à eux donné des résultats mitigés. En 1953, le plan Johnson prévoit la conclusion d’un accord à l’échelle du bassin du Jourdain, pour tenter de favoriser la coordination entre les usages respectifs. Mais Israël refuse de signer l’accord, tandis que la Ligue arabe décide de rejeter tout accord sur le partage de l’eau dans le bassin du Jourdain tant qu’un accord politique n’aura pas réglé la question palestinienne. Une entente n’est pas pour autant impossible. Le traité de paix signé entre la Jordanie et Israël en 1994 ouvrent ainsi les bases d’un règlement de répartition équitable entre les deux pays. Près de 70% des ponctions en eau sont destinées à l’agriculture. On constate d’ailleurs que le niveau du Jourdain est sept fois plus bas aujourd’hui qu’il y a 50 ans en raison des nombreux détournements pour les projets d’irrigation. Par ailleurs, plus le pays est pauvre, plus il consomme d’eau pour irriguer : les pays dits « du tiers-monde » utilisent ainsi deux fois plus d’eau par hectare que les pays industrialisés, pour une production agricole en moyenne trois fois inférieure en valeur. Dans les Territoires palestiniens, réduire les besoins en eau agricole consisterait à améliorer le système d’irrigation en modernisant un réseau vieux et défectueux dont le taux de fuite est estimé à 40%. Israël dispose de toute la technologie nécessaire pour les y aider (taux de fuite de moins de 10%). De plus en plus d’espoir sont placés dans le projet fou consistant à faire revivre la mer Morte, qui était à terme condamnée si aucune action politique n’était entreprise. Comme la mer d’Aral, ce lac salé a perdu en un demi-siècle près du tiers de sa superficie, si bien qu’il est aujourd’hui divisé en deux bassins distincts. En cause, les prélèvements excessifs du Jourdain qui l’alimente et l’évaporation importante de l’eau due aux usines de production de sel qui le bordent. Jusque-là, la principale solution mise en avant pour contrer la menace d’assèchement total du lac consistait à creuser un canal depuis la mer Rouge jusqu’à la mer Morte pour l’alimenter. Une étude de faisabilité a même été réalisée en 2006, estimant le projet à 3 ou 4 milliards de dollars. Le « canal de la paix » porte bien son nom puisqu’il pourrait bénéficier à terme à l’ensemble des protagonistes. Cependant, certaines organisations environnementales ne manquent pas de pointer le risque écologique d’un tel projet. Une autre alternative se dessine aujourd’hui. Selon Gilbert Benhayoun, professeur d’économie et président du groupe d’Aix, Israël arrive à faire en sorte d’extraire moins d’eau du lac de Tibériade, permettant un débit plus rapide des eaux du Jourdain. A terme, si cette politique se poursuit, on peut penser que le Jourdain pourra à nouveau alimenter, ou réalimenter, le mer Morte. Toujours d’après G. Benhayoun, la situation a changé avec les avancées technologiques et la crise de l’eau en Israël est en passe d’être définitivement terminée. Les Israéliens pourraient ainsi produire bientôt suffisamment d’eau pour pourvoir à leurs besoins dont près de la moitié serait déjà couverte par de l’eau dite « non conventionnelle », c’est-à-dire issue du traitement des eaux usées et de la désalinisation. Israël est d’ailleurs le premier pays au monde pour le traitement des eaux usées, à hauteur de 90%, ressource qui est ensuite réutilisée dans l’agriculture. A noter cependant que les colons ne recyclent que 60% des leurs. Alors qu’aujourd’hui près d’1% seulement de l’eau potable est produite par dessalement dans le monde, Israël dispose déjà de quatre usines de désalinisation, une à Ashkelon, une à Hadera, une à Palmachim et la dernière en date à Ashdod. Et le gouvernement israélien a approuvé récemment la construction d’une cinquième usine à Sorek, au sud de Tel-Aviv, qui permettra de combler encore un peu plus l’écart entre les besoins et les ressources en eau propres d’Israël. D’après certains experts qui se sont exprimés lors du Symposium « énergie-eau » qui s’est tenu cette année au sein de CleanTech pour son 17e Sommet annuel, Israël pourrait bientôt produire environ 600 millions de mètres cubes d’eau dessalée par an, couvrant près de 80 % de l’eau potable en milieu urbain. L’eau de mer pourrait ainsi devenir l’une des principales ressources alternatives à la rareté de l’eau douce au Proche-Orient comme en témoigne les projets en cours pour construire une usine de dessalement à Gaza dont la population a essentiellement accès à de l’eau souterraine polluée, ou encore à Aqaba (projet israélo-jordanien). Mais les freins sont encore nombreux. Ces installations nécessitent en effet des besoins énergétiques lourds et coûtent extrêmement chères. Ainsi, même si la crise de l’eau est encore bel et bien une réalité au Proche-Orient, elle change progressivement de nature. Au fil du temps, il s’agira plus d’une crise de répartition, de distribution, plutôt qu’une question de rareté réelle. Cela rejoint les conclusions de Frédéric Lasserre affirmant que le problème de l’eau est moins géographique que politique. Et le principal problème entre Israël et les Territoires palestiniens est que les accords d’Oslo II de 1995, qui devaient régler la question de l’eau pour cinq ans en attendant un accord final, n’ont toujours pas été mis à jour alors que le cadre n’est plus du tout adapté. Ses besoins en eau douce étant en passe d’être pourvus, Gilbert Benhayoun souligne que ce serait un beau geste politique de la part de l’Etat hébreu que d’accéder aux demandes de l’Autorité palestinienne qui souhaite récupérer la souveraineté sur ses ressources hydriques. Molto più che il petrolio, l'acqua sta diventando la nuova risorsa strategica nel controllo di popolazioni e intere regioni. Il suo monopolio potrebbe alterare notevolmente la geopolitica, alimentare conflitti socio-politici e militari. La cinematografia è stata in grado molto spesso di descrivere problematiche socio-politiche in modo assai più accurato della saggistica o dei manuali universitari. Nel film della saga di James Bond Quantum of Solace, uscito nel 2008, l’imprenditore Dominc Greene cerca di ottenere il controllo dei bacini di approvvigionamento idrico della Bolivia, al fine di imporre un monopolio di mercato su questa importante risorsa. Per buona parte del film, si è portati a credere che il vero piano sia il controllo di un giacimento petrolifero. L’oro nero è stato infatti per decenni la principale risorsa energetica da controllare, al punto da provocare crisi economiche, instabilità socio-politiche, colpi di Stato e conflitti militari. Da qui a qualche anno il quadro di riferimento potrebbe mutare radicalmente e, proprio come descritto nel film di James Bond, l’acqua diventerà la nuova risorsa su cui nazioni, società, imprenditori e trafficanti tenteranno di imporre il proprio monopolio. L’importanza dell’approvvigionamento idrico non è infatti sentita unicamente da associazioni ambientaliste o attivisti no-global, ma anche da autorevoli esponenti dei governi e studiosi di relazioni internazionali. Il generale Colin Powell, comandante in capo dell’Esercito statunitense durante la Guerra del Golfo e Segretario di Stato nell’amministrazione Bush Jr., spiegò infatti che: “Lo sviluppo sostenibile è un obbligo morale e umanitario, ma è anche un imperativo per la sicurezza. Povertà, degrado ambientale e diseguaglianze portano alla distruzione di popolazioni, società, nazioni. Questa triade nefasta può destabilizzare stati e persino intere aree geografiche”. Un duro richiamo all’importanza delle risorse ambientali è stato fatto anche dal Segretario Generale dell’Onu Ban Ki Moon, il quale, congiuntamente alla crisi ucraina e siriana, ha ricordato i rischi che una sottovalutazione delle conseguenze di una crisi dell’acqua può avere per la sicurezza internazionale. Di “guerre dell’acqua” si parla infatti già da qualche decennio e nel 1989, l’ex Segretario UN Boutros-Ghali, all’epoca Ministro degli esteri egiziano, denunciò che la sicurezza nazionale dell’Egitto era nelle mani di almeno altri otto Paesi africani. L’appello chiarisce bene che il controllo della risorsa idrica non ha valore unicamente come fattore ambientale, ma influisce pesantemente sul piano economico, politico e strategico di una Nazione; il potere di pressione che possiedono i paesi a monte dei fiumi è chiaramente maggiore di coloro che si trovano a valle. La minaccia di una guerra per il controllo del petrolio è cosa data per acquisita, ma in un futuro di medio-termine l’acqua rischia di accendere molti più conflitti politico-militari dell’oro nero. In alcune aree del mondo, corrispondenti a quasi il 40% della popolazione mondiale, la scarsità di acqua potrebbe avere gli stessi effetti della crisi dei prezzi del petrolio nel 1973. L’India e il Bangladesh sono in competizione da anni per il controllo del Gange, il Messico e gli Stati Uniti per il Colorado, la Repubblica Ceca e l’Ungheria per Danubio e nell’Asia centrale cinque repubbliche ex sovietiche si contendono i già risibili bacini dell’Amu Darja e del Sjr Darja. Ma è sopratutto nel Medio Oriente che i conflitti per il controllo idrico potrebbero modellare fortemente gli scenari geopolitici ed economici. Tornando all’Egitto, nel Paese oltre 60 milioni di abitanti dipendono per lo più interamente dalle acque del Nilo, sebbene le origini del fiume si trovino in altre regioni. L’85% delle acque sono infatti generate dalla piovisità dell’Etiopia dove scorrono come Nilo azzurro verso il Sudan e soltanto dopo raggiungono il paese dei Faraoni. Il restante 15% dipende dal cosi detto Nilo bianco, ossia il sistema fluviale che nasce dal lago Vittoria in Tanzania e raggiunge la controparte azzurra nei pressi di Khartoum, capitale sudanese. In base ad accordi del 1959 con il Sudan, l’Egitto ha diritto a 55,5 miliardi di metri cubi di acqua (su 84) mentre a Khartoum ne spettano 18,5. Per completare il fabbisogno idrico, l’Egitto integra con modesti metri cubi di acque freatiche, drenaggio agricolo e acque di scolo municipali trattate. 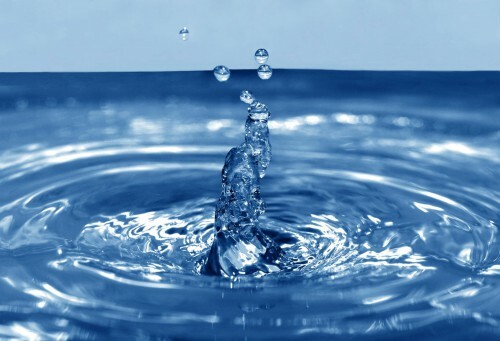 Ma la richiesta di acqua non è costante nel tempo e, secondo le stime, entro un decennio il paese potrebbe aver bisogno di oltre 70 miliardi di metri cubi di acqua. I nuovi accordi tra i paesi africani che beneficiano delle acque del Nilo hanno invece già portato il Cairo a rivolgersi al Consiglio di Sicurezza dell’Onu ritenendo violati i propri diritti di approvvigionamento idrico. La problematica affrontata dall’Egitto è però, come detto, comune a decine di paesi: Botswana, Bulgaria, Cambogia, Ungheria, Congo, Lussemburgo, Mauritania, Paesi Bassi, Romania, Siria, Israele, tutti ricevono più del 75% delle loro risorse idriche da paesi vicini che si trovano a monte. Una soluzione politica al conflitto israelo-palestinese si è arenata negli anni ’50 anche per via di inconciliabili posizioni sulle acque del Giordano, che servono da fonte idrica tanto per i territori palestinesi quanto per Israele. L’avvenire dello sfruttamento di questo fiume è motivo di discussione tra i paesi della regione e si somma alle preoccupazioni per la scarsità generale di acqua in tutto il quadrante mediorientale. Calcoli relativi agli sviluppi demografici, all’evoluzione climatica e idrologica, sembrano anticipare forti gap nel rapporto domanda-offerta delle risorse idriche negli anni che verranno, con conseguenti tensioni politiche. Il 70% delle acque mediorientali è infatti destinato alle colture irrigue, sebbene esse siano in una fase di forte declino; questo perché, agli occhi dei governanti arabi, l’autarchia alimentare, l’esigenza di contenere fenomeni di inurbamento incontrollabili e le pressioni esercitate dalle lobby degli agricoltori, sono fattori molto più importanti nella scelta di allocazione delle risorse. Il controllo delle acque è evidente sarà sempre più importante e strategico, forse perfino più del petrolio. L’accendersi o lo scongiurarsi di conflitti militari e di crisi economico-sociali potrebbero rapidamente dipendere da un bene che si è troppo spesso dato per scontato. Ormai, come insegna la Libia e la Siria, anche un conflitto regionale può avere conseguenze di portata geopolitica ampie e pericolose. Sfortunamente, James Bond potrà disinnescare le speculazioni di avidi imprenditori soltanto nella celluloide. Water has long been a major cause of conflict in Central Asia. Two states – Kyrgyzstan and Tajikistan – have a surplus; the other three say they do not get their share from the region’s great rivers, the Syr Darya and Amu Darya, which slice across it from the Tien Shan, Pamir Mountains, and the Hindu Kush to the Aral Sea’s remains. Pressures are mounting, especially in Kyrgyzstan, Tajikistan and Uzbekistan. The population in Central Asia has increased by almost ten million since 2000, and limited arable land is being depleted by over-use and outdated farming methods. Extensive corruption and failing infrastructure take further toll, while climate change is likely to have long-term negative consequences. As economies become weaker and states more fragile, heightened nationalism, border disputes, and regional tensions complicate the search for a mutually acceptable solution to the region’s water needs. A new approach that addresses water and related issues through an interlocking set of individually more modest bilateral agreements instead of the chimera of a single comprehensive one is urgently needed. The root of the problem is the disintegration of the resource-sharing system the Soviet Union imposed on the region until its collapse in 1991. Kyrgyzstan and Tajikistan provided water to Kazakhstan, Turkmenistan and Uzbekistan in summer and received Kazakh, Turkmen and Uzbek coal, gas and electricity in winter. The system had broken down by the late-1990s, and a plethora of bilateral and regional agreements and resolutions concluded in that decade failed to fix it. The concerns Crisis Group identified in 2002 – inadequate infrastructure, poor water management and outdated irrigation methods – remain unaddressed, while the security environment is bleaker. Regional leaders seem disinclined to cooperate on any of their main problems. Suspicion is growing between the most directly affected countries, Kyrgyzstan, Tajikistan and Uzbekistan. Personal relations between Tajik President Emomali Rahmon and Uzbek President Islam Karimov have been icy for years, and Karimov and his ministers are increasingly prone to make bellicose statements. International partners, including Russia, the European Union (EU) and the U.S., say they can do little if the countries remain fixated on a narrow interpretation of national interests. Differences over upstream hydropower projects require intensive, high-level resolution. Though some localised efforts to improve water supply have worked, usually with donor aid, corruption has undermined more ambitious ones. Yet, the failure of the Kyrgyz, Tajik and Uzbek governments to modernise water-dependent sectors such as energy and agriculture increases their mutual dependence. For all its complexity, the water issue is probably the one that offers some opportunity for solution. 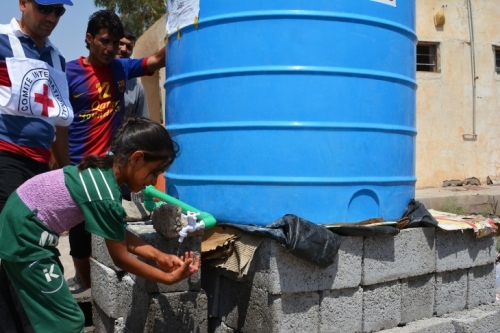 As a Swiss water specialist observed, “water can be a driver of conflict but it can also be a driver of peace”. It is an objective problem, and equitable distribution and a concomitant energy exchange would produce tangible benefits for all. Removal of the water factor from the more intractable problems of borders and enclaves, meanwhile, might mitigate conflicts and perhaps even help solve them. Improved water infrastructure and management projects could thus be crucial for building peace and political stability, while promoting development and economic growth. Attempts at comprehensive regional solutions have foundered on mistrust. Kyrgyzstan, Tajikistan and Uzbekistan (and their international backers) should act now in the border areas of the Ferghana Valley to end the annual cycle of competition and conflict over water by dividing the water issue into more manageable portions – seeking gradual, step-by-step solutions along conceptual and geographical lines rather than one all-inclusive resource settlement. If Uzbekistan will not participate, Kyrgyzstan and Tajikistan should work bilaterally. Meanwhile, high-level mediation should be sought to address Uzbekistan’s objections to upstream hydropower projects. There is no guarantee this would work, but it could give these three states an opportunity to modernise infrastructure and the management of water resources as well as train a new generation of technical specialists. The agreements would also set a modest precedent for other spheres in which cooperation is sorely needed and might help defuse tensions in the region, while improving the grim living conditions of most of its population. Recognise that the Syr Darya and Amu Darya rivers should be the subject of separate water-sharing agreements. Promote and mediate individual bilateral water and energy sharing agreements between Kyrgyzstan and Uzbekistan and Uzbekistan and Tajikistan, pending a comprehensive agreement on their management. b) in agricultural areas regarding modern techniques such as drip irrigation. Prioritise water issues at the highest levels of engagement with the Kyrgyz, Tajik and Uzbek governments and use international and local media to publicise the need for progress. Work with the smallest units of government, or directly with local communities, to mitigate corruption; and make further funding conditional on the implementation of anti-corruption measures. 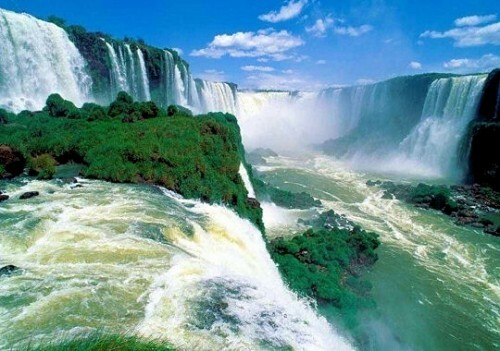 Build energy sector reform, including anti-corruption measures, into financing plans for large hydropower projects. Commit to resolving border demarcation problems without using water or energy as a coercive factor; facilitate cross-border cooperation between police forces and form a tripartite intra-regional council to oversee day-to-day management of water and land resources parallel to high-level border delimitation negotiations. Investigate and prosecute corruption and misuse of donor money. Embark on large-scale public education programs highlighting the extent of water wastage. Ask donors to design and implement cross-border economic development projects focusing on border and enclave issues, including the management and maintenance of shared water resources for agriculture. Parmi les produits fondamentaux pour la vie humaine on trouve l’eau, bien collectif pour les groupes humains, mais les congrégations multinationales la commercialisent désormais. Cette privatisation de l’eau est susceptible de servir de détonateur à des conflits entre groupes multinationaux et populations autochtones, puisque l’eau de qualité est de plus en plus difficile à obtenir. La chaîne allemande de télévision DW a produit un reportage dans lequel est exposé comment trois entreprises commercialisent 70% de l’eau qui se vend sur la planète. Le groupe Nestlé - puis Coca Cola et Pepsi Cola - est propriétaire de 73 marques et il en résulte à la fois une destruction de la qualité des eaux thermales lorsque le groupe a pu s’approprier l’exploitation de celles-ci et une spoliation de la population chaque fois que des accords ont été passés avec les politiciens locaux pour que le groupe Nestlé utilise l’eau déjà traitée par le pays. Deux positions prétendent synthétiser les attitudes possibles à l’égard des droits de consommation et d’usage de ce produit indispensable. Certains Etats et des ONG affirment qu’il s’agit d’un bien public auquel chacun doit accéder ; le secteur “privé” considère qu’un produit alimentaire comme l’eau n’a rien qui justifie une modalité d’administration publique. Si des individus ne peuvent la payer, il appartient à l’Etat dont ils dépendent de prendre les mesures nécessaires. De temps à autre, on arrive à entendre la voix de Maude BARLOW, la spécialiste mondialement reconnue du thème, auteur du livre “l’or bleu”. Elle explique que les quelques entreprises qui ont accaparé le marché de l’eau se retrouvent dans plus de cent pays et dominent 70 % du marché. Elles utilisent pour arriver à leurs fins une méthode bien huilée. D’abord, elles demandent une concession et, en échange, fournissent prébendes, gratifications et soultes aux décideurs qui ont donné cette autorisation. Puis les prix augmentent car chaque activité est soumise à une tarification spéciale : la distribution, la purification, etc., Tout processus est calculé et justifie une hausse. Comme il est fréquent que des pays n’aient pas la technologie dont disposent ces multinationales, le discours en faveur de la privatisation - et des prix de pillage - en est facilité. Le fait que des zones entières manquent d’eau ou en nécessitent pour l’agriculture justifie des évolutions comme le transport par tankers, soit dans des cuves soit dans des sacs plastiques gigantesques. On envisage cette dernière solution pour déplacer par remorquage de grandes quantités d’eau depuis le lieu d’origine jusqu’au pays de destination. Il y a aussi les nouvelles constructions d’aqueducs prévues par exemple à partir des Alpes pour l’Europe ou vers la Californie,aux Etats-Unis. Il y a quelques années, à l’époque où le FMI avait à sa tête le français Camdessus, qui fut aussi un bon serviteur des néantologues mondialistes, il fut mis en avant le principe de la désalinisation de l’eau de mer. Mais le coût en limite la pratique à quelques pays aux revenus pétroliers plantureux. Les multinationales comme Nestlé, Coca-Cola, Pepsi-Cola, … préfèrent vider les nappes phréatiques que les techniques actuelles ont détectées. Un exemple très significatif se trouve en Amérique Latine avec la “quadruple frontière”. La nappe phréatique “Guaraní”, dans le sous-sol de l’Argentine, du Brésil, du Paraguay et de l’Uruguay est une justification à la présence de militaires étrangers qui disposent de bases, comme celle des USA au Paraguay, lieu où s’entraînent aussi des commandos aux fonctions douteuses. Il a déjà été évoqué, dans les années écoulées, la possibilité de transporter l’eau de cette réserve vers des pays demandeurs en utilisant les voies des fleuves Parana et Paraguay. Cela est susceptible de démarrer à n’importe quel moment car la corruption est aussi facile à mener à bien là-bas qu’ici. L’été dernier, entre le 1 juillet et le 31 août, l’armée du Paraguay et les forces américaines ont mené de concert des exercices, dans la zone du “Chaco Paraguayo”, connue pour être un terrain très inhospitalier. Les trompettes de la propagande assurent que l’empathie et la camaraderie entre les militaires des Etats-Unis et du Paraguay est parfaite, aussi parfaite que l’était celle qui régnait en 1960 entre les pays bolchéviques et leur grand frère. L’astuce, quoique grossière, continue à s’utiliser avec succès : nous sommes tous camarades et le pouvoir infâme aime tout le monde, à condition d’être son esclave obéissant. Depuis le 5 mai 2005, le Paraguay a autorisé le gang des néantologues à s’installer de manière permanente dans le pays. Les étatsuniens entrent et sortent sans contrôle, avec toutes les cochonneries qu’ils veulent, sous forme d’armes et autres...Ils ne sont responsables de rien vis à vis de la population ou du milieu ambiant. Leur base militaire est établie dans la province de Boqueronen à l’Ouest du Paraguay, soit à 250 Km de la Bolivie et proche de l’Argentine. Elle est dotée d’une piste d’atterrissage pour les avions B52 et autres Galaxie. De là, elle surveille les réserves de gaz et de pétrole de la Bolivie, puis la réserve d’eau douce, seconde en importance sur la planète, la nappe Guarani. Le Président Horacio Cartes est protégé par 5 gardes du corps israéliens, auxquels il conviendrait d’ajouter ceux qui veillent sur ses filles, sa femme, sa mère, etc., lesquels profitent de leur position pour inviter des coreligionnaires à arpenter le pays et ses frontières, afin de connaître et combattre l’Armée du Peuple Paraguayen. D’un bout à l’autre de l’Occident, les mensonges se ressemblent. Cette Armée du Peuple n’existe que dans l’imagination de ceux qui en ont besoin pour camoufler leurs infamies. Elle justifie une militarisation du pays et surtout la mise sous tutelle israélienne des ressources en eau. La nappe Guarani n’est pas une ressource pour les populations, mais un butin que les pillards de la planète veulent s’approprier. La spécialiste de la question de l’eau en Argentine, Elsa Bruzzone, a rappelé qu’en 2004, le Pentagone avait adressé un rapport au gouvernement des Etats-Unis pour proposer de prendre le contrôle militaire des ressources en eau de la planète. Le rapport s’appuyait sur l’analyse des experts de l’ONU affirmant qu’entre 2020 et 2030, 90% de la population n’aura plus accès à une eau vraiment saine. Laissera-t-on piller l’eau de la réserve Guarani et organiser le contrôle de l’accès à l’eau un peu potable à travers quelques congrégations multinationales. The Nile Basin is seeing record fragmentation of nation-states by secessionist and other rebel movements, some backed by the United States and its Western allies and others backed by Egypt and Saudi Arabia. Yet other secessionist groups are backed by regional rivals such as Ethiopia, Eritrea, Uganda, and Sudan. 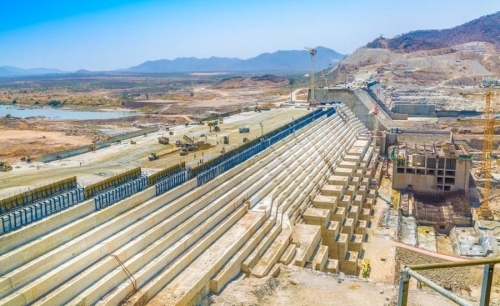 Ethiopia has announced that its Grand Ethiopian Renaissance Dam project on the Blue Nile will begin diverting the Blue Nile at the end of 2014. Ethiopia’s decision has set off alarm bells down river in Sudan and Egypt, which are both critically dependent on the Nile for drinking water, irrigation, and in the case of Egypt’s Aswan High Dam, electric power. 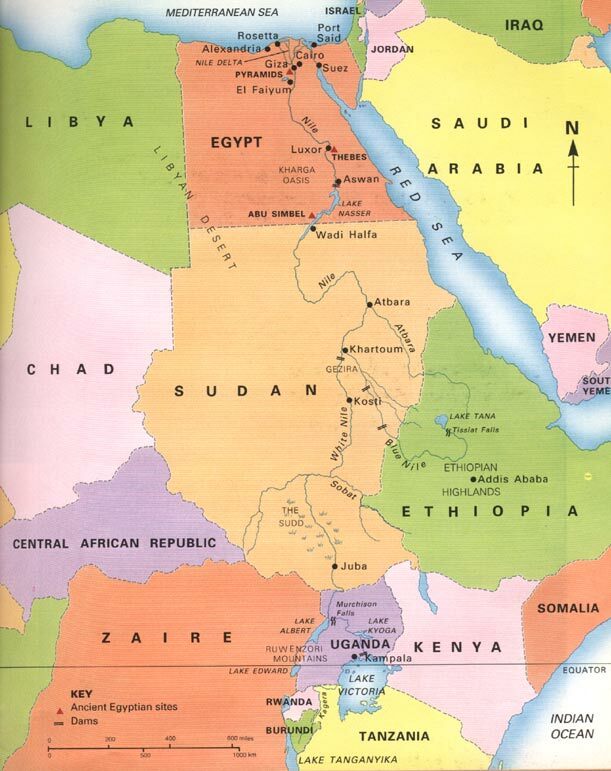 A 1959 agreement between Egypt and Sudan guarantees Egypt 70 percent and Sudan 30 percent of the Nile’s water flow. Egypt’s government has warned Ethiopia, a historical rival, not to restrict the Nile water flow to the extent that it would adversely affect the Aswan Dam or Egypt’s water supply. Sudan has voiced similar warnings. Cairo and Khartoum are also aware that their mutual enemy, Israel, has close relations with Ethiopia and the Republic of South Sudan, the world’s newest nation. The independence of South Sudan would not have been possible without the backing of Israel’s leading neo-conservative allies in Washington and London. The White Nile flows from the Tanzania, Rwanda, Burundi, through Uganda and South Sudan, to Sudan. Egypt and Sudan have also been concerned about Israel’s heavy presence in South Sudan. The South Sudanese secession put tremendous pressure on the future territorial integrity of Sudan, which faces additional Western- and Israeli-backed breakaway movements in Darfur and northeastern Sudan. Independence for South Sudan was long a goal of former Secretary of State Madeleine Albright and her god-daughter, current U.S. ambassador to the UN Susan Rice. The splitting of Sudan into an Arab Muslim north and a black Christian and animist south was also long a goal of Israel, which yearned for a client state in South Sudan that would be able to squeeze the supply of the Nile’s headwaters to Egypt and north Sudan. South Sudan’s independence was cobbled together so rapidly, its Western sponsors were not even sure, at first, what to call the country. Although South Sudan was finally agreed upon, other proposals were to call the nation the «Nile Republic» or «Nilotia,» which were rejected because of the obvious threatening meaning that such names would send to Cairo and Khartoum. The names «Cush» or «Kush» were also rejected because of their reference to the land of Cush that appears in the Jewish Bible and the obvious meaning that such a name would have for those who accuse Israel of wanting to expand its borders beyond the borders of the Palestinian mandate. «New Sudan» was also rejected because of implied irredentist claims by South Sudan on the contested oil-rich Abyei region between Sudan and South Sudan. Egypt has been lending quiet support to Ethiopian and Somali secessionists, which Cairo sees as a counterweight to Ethiopian neo-imperialist designs in the Horn of Africa. Although Ethiopia maintains good relations with the breakaway Republic of Somaliland, Addis Ababa does not want to see Somalia fragmented any further. But that is exactly what is desired by Cairo to keep Ethiopia’s military and revenues preoccupied with an unstable and collapsing neighbor to the east. Two other parts of Somalia, Puntland and Jubaland, also spelled Jubbaland, have declared separatist states. Jubaland should not be confused with the capital of South Sudan, Juba, which is being relocated to Ramciel, close to the border with Sudan. However, all this confusion and map redrawing is a result of increasing hydropolitics in the region, as well as the ever-present turmoil caused by the presence of oil and natural gas reserves. The Rahanweyn Resistance Army is fighting for an independent state of Southwestern Somalia. Somaliland has its own secessionist movement in the western part of the country, an entity called Awdalland, which is believed to get some support from neighboring Djibouti, the site of the U.S. military base at Camp Lemonier. Ethiopian troops, supported by the African Union and the United States, are trying to prop up Somalia’s weak Federal government but Somalia’s fracturing continues unabated with Kenya supporting a semi-independent entity called «Azania» in a part of Jubaland in Somalia. There are also a number of nascent separatist movements in Ethiopia, many being brutally suppressed by the Ethiopian government with military assistance from the United States, Britain, and Israel. Some of these movements are backed by Eritrea, which, itself, broke away from Ethiopia two decades ago. Chief among the groups are the Ogadenis, who want a Somali state declared in eastern Ethiopia and the Oromo, who dream of an independent Oromia. Ethiopia’s ruling dictatorship has tried to placate the Oromos and Ogadenis with peace talks but these moves are seen as window dressing to placate Ethiopia’s benefactors in Washington and London. However, separatist movements throughout the Horn of Africa took pleasure in the advent of South Sudan because they saw the «inviolability» of colonial-drawn borders, long insisted upon by the Organization of African Unity and the African Union, finally beginning to wither. In fact, that process began with Eritrea’s independence in 1993. Eritrea also faces its own secessionist movement, the Red Sea Afars. The Afars also maintain separatist movements in Ethiopia and Djibouti, the latter having once been known as the French Territory of the Afars and Issas. In another U.S. ally, Kenya, the homeland of President Barack Obama’s father, Muslims along the coast have dusted off the Sultan of Zanzibar’s 1887 lease to the British East Africa Company of the 10-mile strip of land along the present Indian Ocean coast of Kenya. Legally, when the lease expired the strip was to revert back to control of the sultan. Since the Sultan was ousted in a 1964 coup, the coastal Kenyans argue that the coastal strip was annexed illegally by Kenya and that, therefore, the coastal strip should be the independent Republic of Pwani. The discovery of major oil and natural gas reserves in Uganda and South Sudan has resulted in plans for pipelines to be built to the port of Mombasa, the would-be capital of Pwani on the Indian Ocean. In Kenya, hydropolitics and petropolitics in the Horn of Africa has resulted in Balkanization spilling into Kenya. In the Himalayas, glacier retreat and rapidly diminishing snow cover are also adding to hydropolitical angst and fueling separatist movements backed by the bigger powers in the region: India, China, Pakistan, and Bangladesh. Snow melt is now being seen in some parts of the Himalayas in December and January. Four dams on the Teesta River, which flows from Sikkim through north Bengal to the Brahmaputra basin, have not only affected the geo-political situation in Sikkim, which has nascent independence and Nepali irredentist movements, but also helps to fuel demands for increased autonomy for Gorkhaland, Bodoland, and Assam, an independent Madhesistan in southern Nepal, an ethnic Nepali revolt in southern Bhutan, and consternation in Bangladesh, where the Brahmaputra and Ganges converge to largely support a country with a population of 161 million people. Bangladesh has also seen its share of secessionist movements, including the Bangabhumi Hindu and the Chittagong Hill Tracts movements. Hydropolitics, petropolitics, and the status quo, like water and oil, do not mix, especially when it comes to the preservation of current borders. Northeastern Africa and South Asia are not unique in this respect. L’acqua è la fonte della vita. Come la maggior parte delle risorse naturali, è oggetto del contendere e alimenta dissapori e ostilità. È soprannominata, non a caso, “l’oro blu”. Per lei sono state combattute tante guerre e ce ne saranno altre nel prossimo futuro. È quanto emerge in un rapporto intitolato “I conflitti per l’acqua. Le aree e i caratteri più significativi dei conflitti per l’acqua in Africa”, pubblicato ieri dall’Istituto di ricerche internazionali Archivio Disarmo. Nel continente nero, il rischio di “idroconflitti”, si legge nel documento, “è particolarmente grave, dato che ogni Paese africano condivide almeno un fiume e quindici Stati ne condividono cinque o più determinando un contesto geopolitico nel quale risulta inevitabile la presenza di attriti. (…)Se più Paesi fanno riferimento alla stessa fonte idrica, l'uso condiviso di questa risorsa può generare competizione e discordia”. L’esempio più eclatante è il Nilo, che bagna l’Egitto, il Sudan, il Sud Sudan, l’Etiopia, l’Eritrea, il Kenya, l’Uganda, la Tanzania, il Ruanda, il Burundi e la Repubblica democratica del Congo. La gestione comune dell’acqua e l’interdipendenza idrologica delle nazioni e dei popoli si ripercuotono “oltre confine”. Il rapporto fa alcuni esempi: “La ritenzione d’acqua a monte dei fiumi limita i flussi a valle, l’inquinamento può essere trasportato in altri Paesi e la presenza di dighe, oltre a impedire il flusso naturale dell’acqua, può causare il deposito di limo nei bacini idrici artificiali, impedendo che questo prezioso fertilizzante naturale raggiunga le pianure a valle”. Pertanto, si legge sempre nel documento, “la divergenza di potere economico e politico degli Stati che condividono lo stesso bacino genera relazioni asimmetriche nelle quali tendono a prelevare gli interessi dei Paesi più forti ( vedi l’Egitto, ndr) che si riflettono nella scelta delle modalità di uso della risorsa e di disciplina dei conflitti”. In Africa c’è poi il problema dei cicli di siccità che si tramutano in stragi di carestie. Come si evince dallo studio di Archivio Disarmo “la carenza d’acqua è un problema della vita di tutti i giorni per gran parte della popolazione. In molti Paesi, vista la scarsità delle risorse idriche, l’irrigazione agricola dipende esclusivamente dalle condizioni climatiche”. Secondo un rapporto pubblicato venerdì scorso dalla Fao, la carestia ha ucciso 260mila persone in Somalia tra il 2010 e il 2012. Circa la metà era costituita da bambini sotto i cinque anni. Dati allarmanti che non tengono conto dell’intera regione del Corno d’Africa, colpita da una delle più drammatiche crisi di siccità degli ultimi vent’anni, e di quella del Sahel. “Con la domanda crescente e una storia di cattiva gestione delle risorse di molti governi africani” precisa il rapporto di Archivio Disarmo “i conflitti sembrano quasi inevitabili, alimentati, oltre che dalla ineguale distribuzione delle risorse idriche tra i Paesi, anche, a livello locale, dalla privatizzazione delle risorse idriche, dall’inquinamento massiccio delle falde acquifere dovuto allo sfruttamento del suolo da parte delle multinazionali del petrolio e dal rancore delle molte persone sfollate a causa delle dighe lungo i fiumi”. È il caso del Delta del Niger, la regione meridionale della Nigeria, dove le fuoriuscite di petrolio dagli oleodotti e la pratica di “gas flaring” (un processo in cui il gas che fuoriesce dai giacimenti viene bruciato a cielo aperto) hanno devastato l’ecosistema fluviale, distrutto la pesca e reso imbevibile l’acqua. Per quanto riguarda le dighe, l’esempio più lampante è quella dell’Etiopia, dove il governo di Addisd Abeba sta sfrattando migliaia di indigeni dalle loro terre nella valle dell’Omo per la costruzione della mega-diga, che si chiama Gilgel Gibe III, e per la vendita delle terre fertili alle multinazionali. Secondo lo studio di Archivio Disarmo, i conflitti possono essere generati “anche per l’utilizzo della falde freatiche, che contengono oltre il 90% dell’acqua dolce allo stato liquido a livello mondiale, quando queste si snodano sotto dei confini statali. Queste riserve oggi sono oggetto di uno sfruttamento sempre più intenso nelle zone aride del mondo”. Si fa l’esempio, nel rapporto, del più grande sistema acquifero detto “Arenaria nubiana” che attraversa un’area di oltre due milioni di chilometri quadrati compresi tra Ciad, Egitto, Libia e Sudan. “Esso contiene grandi quantità di acque sotterranee dolci non rinnovabili perché risalenti a migliaia di anni fa durante climi molto più umidi”. “I principali conflitti e le contese per l'acqua in Africa - prosegue lo studio - hanno inevitabilmente luogo nelle aree dei bacini dei principali fiumi del continente. (…) Di solito al primo stadio della disputa uno dei Paesi beneficiari delle fonti idriche comuni intraprende un’azione unilaterale di sfruttamento con progetti che intervengono sui corsi d'acqua: ciò causa la protesta degli altri Paesi che vedono intaccate le loro risorse idriche e possono far seguire vere e proprie condizioni di ostilità, mentre nell’ultima fase i Paesi in conflitto riprendono i contatti diplomatici e si sforzano di trovare lente e complesse risoluzioni”. L’esempio più naturale è forse quello del Nilo. Uno dei fiumi più lunghi al mondo ( al secondo posto, dopo il Rio delle Amazzoni), che ha dato la vita all’Egitto con le sue piene periodiche. Eppure il Nilo nasce in Sudan, dall’unione delle acque del Nilo Azzurro e del Nilo Bianco, che a loro volta nascono rispettivamente dal Lago Tana in Etiopia e dal Lago Vittoria, le cui acque attraversano i confini di Kenya, Uganda, Tanzania. Ognuno di questi Paesi ha il diritto sovrano di poter gestire le acque del fiume, costruendo dighe o altri progetti. Ma non sulla carta, in quanto violerebbero gli accordi internazionali sulle acque del Nilo, del tutto favorevoli all’Egitto. Il primo accordo sulle acque del Nilo è stato firmato nel 1929 da Egitto e Gran Bretagna, che agiva in nome delle sue colonie dell’Africa orientale. È poi stato in parte rinegoziato nel 1959, poco prima dell’inizio dei lavori per la grande diga di Assuan, da Egitto e Sudan ormai indipendenti, dando ai due Stati rispettivamente 55,5 e 18,5 miliardi di metri cubi d’acqua all’anno. Ma tutti gli altri Paesi non hanno partecipato alla spartizione. E ormai da anni chiedono, in particolare Tanzania e Etiopia, di poter riaprire la partita negoziale per stabilire delle quote più eque di utilizzo delle acque. 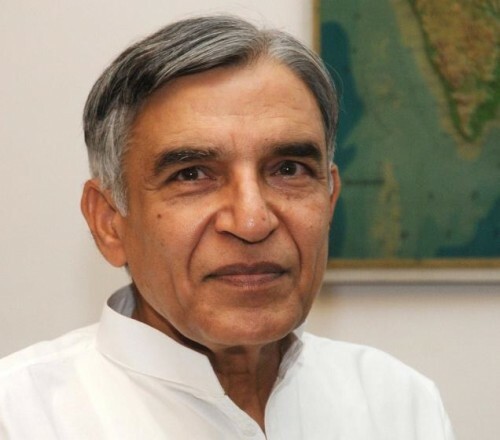 Le ministre indien des ressources hydriques, Pawan Kumar Bansal (photo), s’est rendu récemment à Téhéran pour y représenter l’Inde au XXIème Congrès sur la sécurité alimentaire et hydrique: ce sont là des sujets du plus haut intérêt pour ces deux grands pays de la masse continentale eurasienne. Bansal a surtout mis l’accent sur “l’importance de détenir une sécurité alimentaire sur la scène mondiale actuelle”, ce qui a pour corollaire la disponibilité en eau pour la population et les cultures; l’eau, véritable or bleu, est essentielle pour toute autosuffisance en ces secteurs d’activité humaine. Le ministre indien, après avoir souligné les affinités qui existent entre l’Inde et l’Iran, a également rappelé qu’il manquait une stratégie commune en ce domaine hydrique/alimentaire. “L’Inde investit beaucoup en ce moment dans le secteur hydrique, avec sa population de plus de 1,7 milliard d’habitants; les recherches pour trouver de nouvelles sources d’eau s’effectuent de concert avec la construction d’implantations spécifiques, destinées à la distribution et l’épuration”. Bansal a ensuite ajouté: “Le gouvernement de la Nouvelle Delhi carresse le projet d’augmenter de 20% l’efficacité des systèmes d’irrigation en l’espace de cinq années, projet qui va de paire avec un renforcement des capacités technologiques de la productivité agricole”. “Toutes les activités concernant l’eau et son utilisation”, a poursuivi le ministre indien, “devront être abordées avec l’implication totale et complète de la population et des diverses entités collectives locales, de manière à responsabiliser également les utilisateurs quant à l’usage correct de cette précieuse ressource”. L’eau représente de fait un bien de plus en plus important sur le plan stratégique, au vu de ce qui se passe dans le monde actuel où la consommation par tête d’habitant a doublé depuis le début du 20ème siècle, avec un maximum de quelque 1700 m3 par habitant aux Etats-Unis. Dans le monde, il y a environ 1400 millions de km3 d’eau, dont 96% se trouvent dans les océans; seule une petite partie est constituée d’eau douce, dont 1,74% est immobilisée dans les glaces et 1,7% dans les nappes phréatiques souterraines; par conséquent, moins d’1% de l’eau douce se trouve dans les fleuves et les lacs de surface. En 2000, l’ONU avait fixé huit objectifs de développement mondial; parmi ceux-ci, il y avait la volonté de réduire, dans la mesure du possible, la part de la population mondiale sans accès à l’eau potable. Derrière ces aspects purement humains de l’utilisation de l’or bleu, il y a les intérêts de ceux qui veulent contrôler cette richesse et s’en accaparer comme c’est déjà le cas pour le pétrole. Carlos Pareyra Mele, analyste argentin et expert ès géopolitique de l’Amérique latine, soutient la thèse que depuis le milieu des années 80 du 20ème siècle, l’eau est devenue un objectif considéré comme stratégique par les gouvernements américains qui la camouflent généralement derrière un discours sur la “biodiversité”. En 2004, toujours selon cet expert argentin, le journal “The Guardian” a rendu public un rapport secret d’un conseiller du Pentagone, A. Marshall, dans lequel ce dernier avertissait les autorités américaines que, vu le réchauffement climatique, l’eau deviendra bien vite une matière première précieuse, dont il faudra nécessairement s’assurer le contrôle, du moins de ses sources les plus importantes. Or c’est justement le continent sud-américain qui recèle les plus grands bassins d’eau douce du monde, avec 25% du total de la planète entière. Cette masse hydrique pourrait fort bien attirer l’attention de la superpuissance américaine qui chercherait alors à contrôler, pour son compte propre, cette énorme masse d’eau douce disponible, soit par le biais de ses seules multinationales soit en organisant la déstabilisation politique des Etats latino-américains. Ce qui ne serait pas nouveau même si aujourd’hui de telles manigances semblent moins probables qu’aux temps jadis. 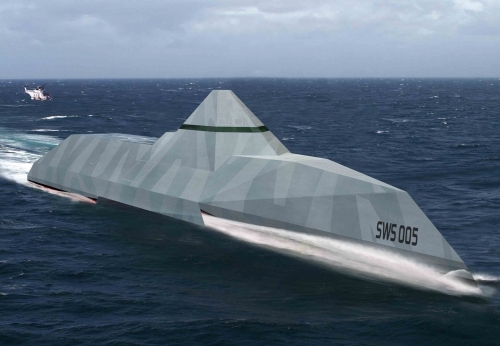 L’Amérique du Sud cherche depuis deux bonnes décennies à sortir le plus rapidement possible de son statut d’“arrière-cours” des Etats-Unis; ceux-ci s’étaient substitués à l’Angleterre et avaient pillé à grande échelle les immenses richesses naturelles de ce continent. Cependant, les Sud-Américains ne doivent pas baisser la garde, comme d’ailleurs personne sur cette planète ne doit la baisser, parce que ce qui est en jeu, ce sont les matières premières et les richesses naturelles. Soyons-en sûrs, elles attireront l’attention de Washington et de ses alliés. Face à leurs manoeuvres, il s’agira de ne pas être désarmé. (article paru dans “Rinascita”, Rome, 28 octobre 2011 – http://rinascita.eu ). Die Dämonisierung Gaddafi in der westlichen Pressehurerei nach dem Motto: “Ein bißchen Wahrheit vermischt mit einer Menge Lügen” lässt nur zu deutlich darauf schließen, wer hinter der “Libyschen Revolution” steckt. Nachdem die Russen die westliche Presse wieder einmal wegen der angeblichen Bombardierung der Bevölkerung durch Gaddafis Luftwaffe der Lügen strafen konnten, ist es keineswegs mehr von der Hand zu weisen, dass die “Libysche Revolution” in Gänze auf Befehl der einschlägigen Weltbrandstifter in London angezettelt wurde. Libysche Offiziere präsentierten zum ersten Mal auf dem 5. Weltwasserforum in Istambul ein Projekt zur Wasserförderung, das auf 33 Milliarden Dollars geschätzt wurde. Das Projekt wurde als die 8. 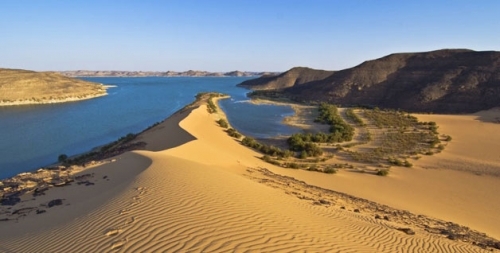 Weltwunder bezeichnet und sieht die Errichtung eines künstlichen Flusses vor, damit die Bevölkerung im Norden Libyens mit trinkbarem Wasser versorgt werden können. Die Projektarbeiten wurden seit 1980 auf Aufrag des libyschen Führers, Muammar Gaddafi, eingeführt. 2/3 des Projekts wurde bereits fertig gestellt. Es handelt sich um eine 4 000 Km lang Wasserleitung, die im Grunde liegendes gepumptes Wüstenwasser durch die libysche Sahara in den Norden fliessen lässt. „Die Studien zeigten, dass das Projekt kostensparender als die anderen Altrnativen war.“ meldete der für das Grundwassermanagement zuständige Fawzi al Sharief Saeid. Weltweit haben 25 Prozent der Landbevölkerung keinen Zugang zu Trinkwasser, 40 Prozent leben ohne sanitäre Infrastruktur. Es könnte bald zu größeren Konflikten um den Rohstoff Wasser kommen. Die größten Verschwender von Wasser sind die Asiaten, gefolgt von den Nordamerikanern und Europäern. Am wenigsten verbrauchen die Menschen in Australien/Ozeanien und Lateinamerika. In Afrika ist die Lage am schlimmsten, über die Hälfte des Kontinents leidet an Wassermangel. Derzeit wohnen eine halbe Milliarde Menschen in Ländern, die von Wasserknappheit betroffen sind. Laut UN-Angaben werden es in 40 Jahren rund 1,8 Milliarden sein und weitere fünf Milliarden werden in Gegenden wohnen, wo es schwierig ist, den Wasserbedarf zu decken. Auf das Konto der Bewässerung landwirtschaftlicher Flächen gehen derzeit rund 70 Prozent des weltweiten Wasserverbrauchs. Doch die Verfügbarkeit des Oberflächenwassers, der Feuchtigkeitsgehalt der Böden und der Grundwasserspiegel gehen aufgrund immer häufiger auftretender Überschwemmungen, Dürren, Erdrutsche und Hurrikans zurück, was die landwirtschaftlichen Erträge mindert. Um die Weltbevölkerung auch in Zukunft ernähren zu können, muss die Landwirtschaft ihre Produktion steigern. Dafür müsste aber bis im Jahr 2030 die Bewässerung der landwirtschaftlichen Flächen um knapp 20 Prozent zunehmen. Auch der private Verbrauch hat rasant zugenommen: Seit 1950 stieg der weltweite Wasserverbrauch mehr als doppelt so schnell wie die Bevölkerung und je höher der Lebensstandard, umso mehr Wasser wird im Haushalt verschwendet. Das lässt sich an einem Beispiel illustrieren: Ein durchschnittlicher Europäer verbraucht heute achtmal so viel Süßwasser wie seine Großeltern. Dabei ist ein großer Teil der Verschwendung vermeidbar, denn nur 55 Prozent des Wassers werden tatsächlich verbraucht, der Rest geht durch Versickern, tropfende Hähne, Verdunsten bei der Bewässerung oder durch undichte Stellen in Verteilungsnetzen verloren. Und auch das Abwasser ist ein Problem: In den Entwicklungsländern werden 90 Prozent des Abwassers und 70 Prozent der Industrieabfälle ungeklärt weitergeleitet und gelangen zum großen Teil ins Oberflächenwasser. Hinzu kommt, dass sich die Megacitys in den Entwicklungsländern aufgrund des starken Bevölkerungswachstums stark vergrößern. Sie werden bald in ihren Abfallproblemen versinken, die Mehrheit der dort lebenden Menschen dann in Kloaken leben. Es gibt einige Möglichkeiten, dieses schreckliche Szenario zu verhindern: Bei der Bewässerung gezielt wassersparende Techniken einsetzen, die Produktions- und Verteilstrukturen für Trinkwasser verbessern, Kläranlagen installieren, mehr Geld in Infrastruktur und Ausbildung qualifizierter Arbeitskräfte stecken und den privaten Verbrauch einschränken. Gelingen all diese Maßnahmen nicht, wird es bald zu internationalen Konflikten kommen, um sich den Zugang zu sauberem Wasser zu sichern.